the breakdown of a marriage leading to divorce or separation is often accompanied by an array of complex issues including the division of matrimonial assets. 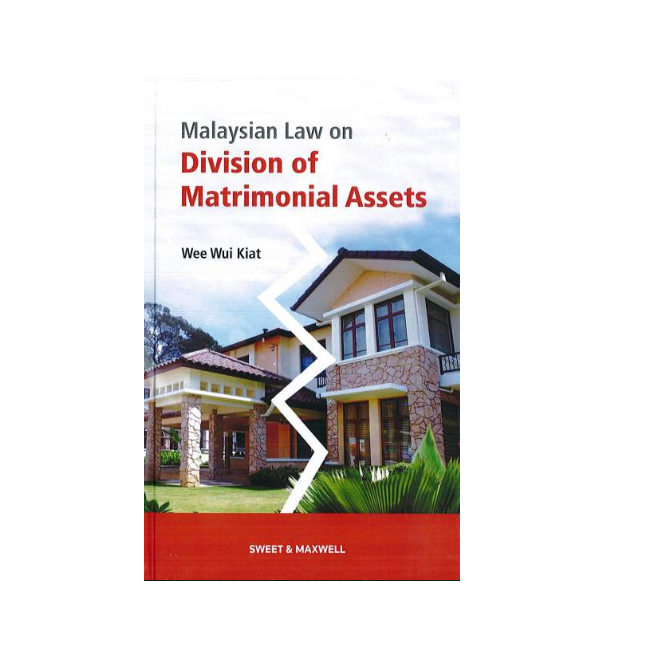 Malaysian Law on Division of Matrimonial Assets comprehensively covers all the principles governing judicial division of matrimonial assets incidental to a court decree of divorce or judicial separation. The main provisions of the Law Reform (Marriage and Divorce) Act 1976 and its accompanying rules, the Divorce and Matrimonial Proceedings Rules 1980 that govern this area of law in relation to non-Muslims are discussed in great depth and detail. The law applicable to Muslims and the application of native customary laws are also covered. To illustrate the application of the law in various situations, copious court decisions  both from Malaysia and countries with similar laws, such as the UK, Singapore and Australia  are thoroughly discussed, giving the reader a good grasp of the different considerations in determining how matrimonial assets should be divided. Important issues such as what constitutes matrimonial assets, the duty to make full disclosure, and the relationship between the law on division of matrimonial assets and other laws such as contract, trust, and succession laws are given due consideration. Legal practitioners will benefit from the treatment given to practical matters such as the procedure for making an application for property division, the types of orders that a court may make, and the means available to counter attempts to defeat any potential claim for division of matrimonial assets, as well as the means of enforcement when there is an attempt to avoid compliance with a division order.